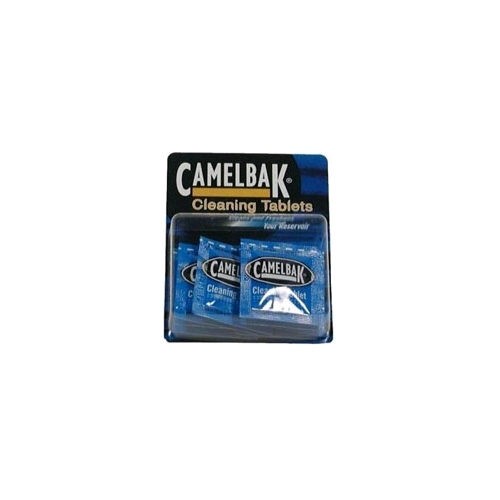 Camelbak Cleaning Tablets are formulated to reduce taste and odor via a convenient tablet. You drop one Camelbak Cleaning Tablet in a water-filled reservoir. Then foaming action wipes out the dirt and grunge that has built up over long periods of time. Using safe Chlorine Dioxide, each tablet cleans up to a 100 ounce reservoir.Usually ships in 1-2 days.